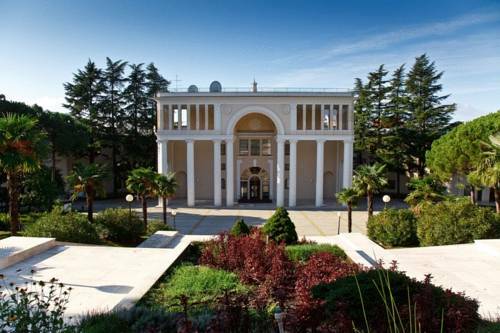 This Sochi Hotel is 30 metres from the Black Sea, on the Riviera Beach. 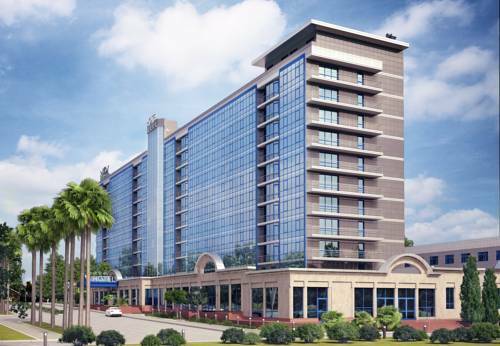 It features a 24-hour front desk, and spacious rooms with a refrigerator. Rooms at the Riveria Hotel offer simple furnishings, with carpets, tiled floors and curtained windows. 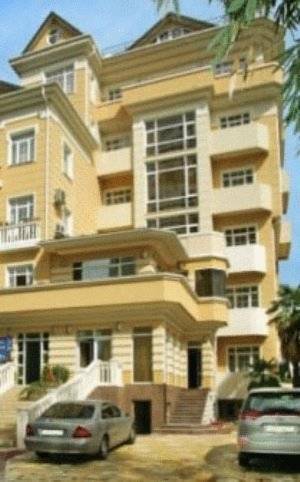 The Mirit Hotel is situated in the centre of Sochi, less than 300 metres from the Black Sea. 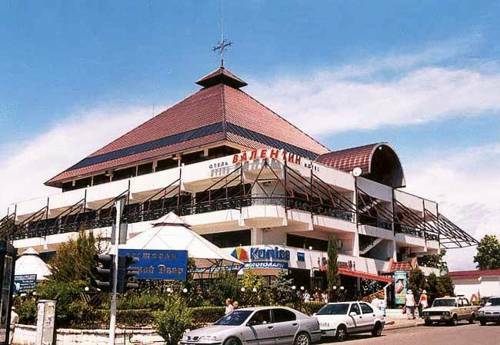 It offers free on-site private parking and rooms with balconies. Each Mirit room is spacious and includes a minibar and TV. 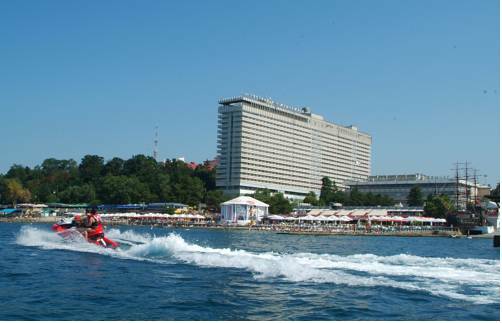 Bounty Hotel is situated on the Black Sea coast in Sochi. All guest studios and suites are spacious and include air conditioning, a balcony and seating area with LCD TV. Free WiFi is available in public areas. Directly on the beach in Sochi, this hotel features a free wellness centre with swimming pool and sauna, and spacious rooms overlooking the Black Sea. International and local cuisine is served on site. 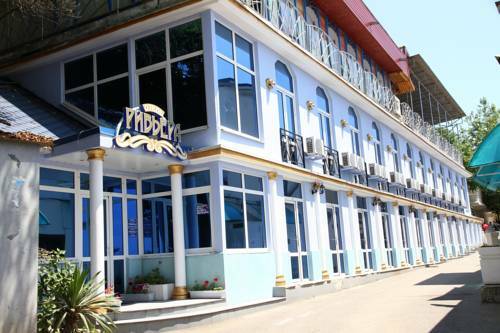 This hostel is located in the centre of Sochi, a 3-minute walk from Riviera Amusement Park and a 10-minute walk from the beach. Free WiFi is featured at Yozh Hostel. The colourful hostel rooms offer bright décor and air conditioning. 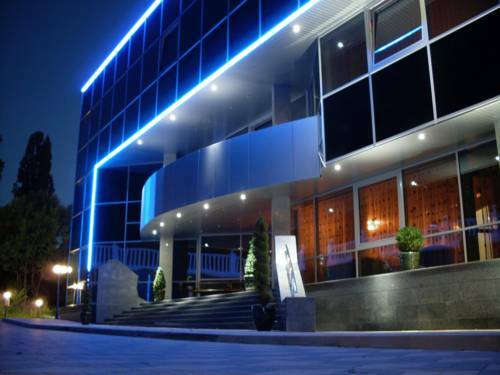 Within walking distance of many of Sochi's attractions including winter theatre, Festivalny Concert Hall and Water Park, this elegant hotel offers comfortable accommodation, including buffet breakfast and a charming garden. Situated along the Black Sea coast and surrounded by Russian Riviera's palm and banana trees is this 4-star hotel offering comfortable accommodation in an ideal location. 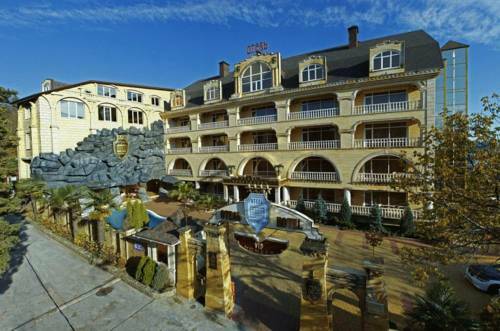 This luxury 5-star hotel is located on the Black Sea Coast in Sochi. It features a private beach, several gourmet restaurants, a Wellness and Spa by Rodina with indoor and outdoor pools and kids club. Directly on the Black Sea coast in Sochi, this hotel complex features a private beach, an outdoor heated swimming pool with sea water, and tennis courts. Guests enjoy 8 restaurants, 4 bars and varied evening shows. Just 300 metres from the pebble Black Sea coastline, this 5-storey hotel in Sochi’s city centre offers a fitness club and a traditional Russian sauna.